A week is a long time in politics but the same definitely applies for Gaelic football. 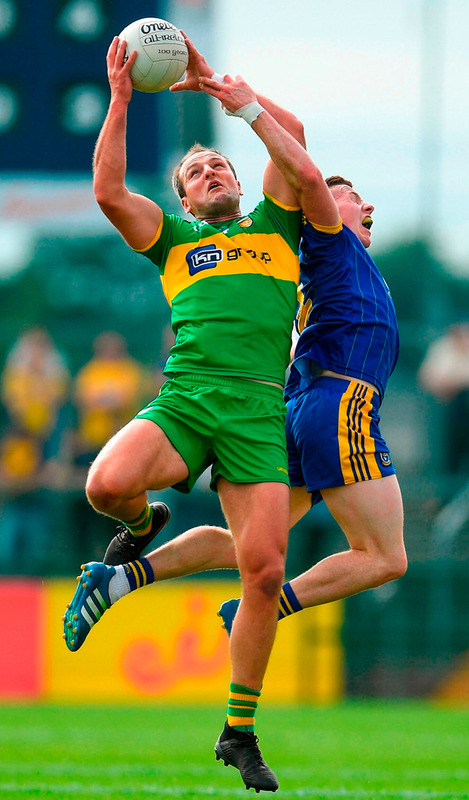 Rushing to judgement is the norm among many GAA folk and the ‘Super 8s’ were all but buried after the first round, with knee-jerk reactions calling for change before it had barely kicked off, after a dismal opening weekend. Croke Park bore great resemblance to a morgue as the Super 8s started with a whimper at GAA HQ, but it rose from the dead last weekend as provincial grounds breathed new life into the summer. The radical change in structure – passed at the 2017 GAA Congress by a 74pc majority – sought to add further spice to the latter stages in the race for Sam Maguire and that certainly materialised in Omagh, Newbridge and Clones respectively. It’s easy to be negative about the football championship as it trails in hurling’s wake this year in terms of excitement, but one barren weekend doesn’t ruin a summer and the race to the first Sunday in September kicked into gear after a plethora of pulsating action, and no little quality. There’s something intimate and special about local stadia and, if the ‘Newbridge or Nowhere’ saga taught us one thing, it is the power a home venue – and the sense of occasion and atmosphere – that it can create. Results weren’t positive for the home sides, with Monaghan the only ones to put points on the board, but ‘welcoming’ top-class opposition to your fortress and the unique idiosyncrasies that smaller venues possess sparks intrigue. Be it the debate surrounding who tightened the margins at Healy Park before Tyrone hosted the Dubs, watching the All-Ireland champions in Omagh’s close quarters or the gentle discouragement which Kerry’s Seán O’Shea received from the Monaghan faithful before he stepped up to every placed ball, there’s no shortage of excitement. The ‘Battle of Omagh’ started the fire on Saturday night and it raged through Newbridge and Clones before David Clifford’s sublime goal eventually brought the curtain down in a fitting manner after an unforgettable weekend. As a result, optimism has suddenly replaced pessimism ahead of the final round in the first season of a three-year Super 8s trial. Patience is needed with such innovations. The format is far from perfect given that three quarters of the counties who contested the provincial championships are idle with the season only kicking into gear but, with some subtle changes, there’s no reason why there can’t be more memorable occasions like the weekend just passed. It seems strange and unfair that the provincial champions – barring Leinster kingpins Dublin who regularly play home games at Croke Park – did not benefit from those triumphs by at least hosting their opening game on home ground. Were it not for Clifford’s heroics, Kerry were facing into a home game against Kildare which had little or no significance to either side. Silverware aside, what is the reward for provincial success? If the authorities want them to remain important, then re-enforce that by making them more advantageous. ‘The Croke Park round’ could be moved to the second week or alternatively, they could take the significant lead from their hurling counterparts and not utilise Croke Park until the semi-final stage. The two Croke Park double-headers didn’t catch the imagination, whereas a neutral, provincial ground undoubtedly would. While Dublin’s large fan base might warrant use of the Jones’ Road venue, the excitement they bring on the road has been one of the highlights of recent championships and there’s no reason why they shouldn’t continue to spread the football gospel around the country with two games on the road and one on home soil. Clifford spared spectators the prospect of facing into three dead-rubber games in a fortnight’s time, with Sky Sports set to broadcast two games on Saturday, August 4 which would have had no bearing on proceedings. That would have left a sour taste in many mouths but instead there’s the mouth-watering prospect of Tyrone heading to Ballybofey to face Donegal with the great Ulster rivals fighting for their lives. Very few Rossies will travel to Croke Park for a game of little consequence, but it’s a last-chance saloon for Eamonn Fitzmaurice as former Kingdom coach Cian O’Neill heads to Killarney with Kildare while Monaghan could either top that group or finish in limbo in third depending on their exploits against Galway in Salthill. Those permutations and the idea that anything could happen is what the Super 8s concept is based on. Kerry were as good as out before their lifeline but could now face the Dubs in the last four – few would have predicted that. The Lilies and the Rossies are the only ones out of contention after two rounds and while it’s effectively a ‘Super 6’, it won’t want for drama and after a drab season so far. That’s exactly what football needs.